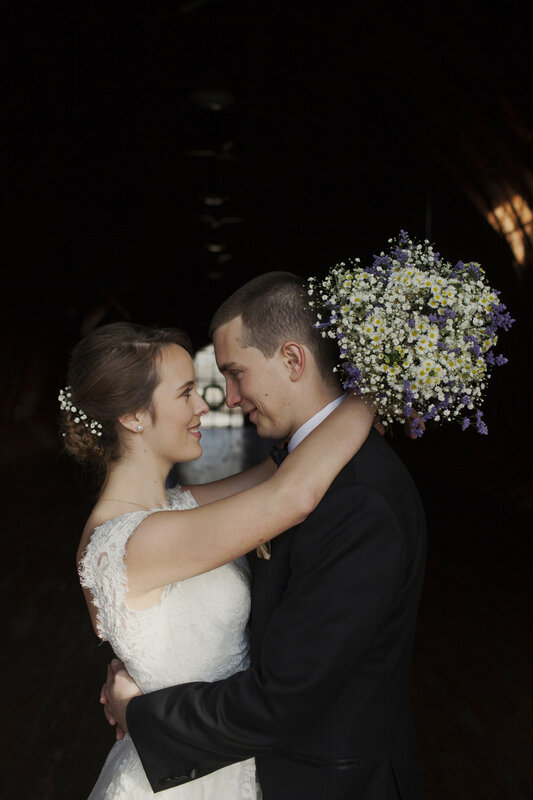 The Dairy Barn is one of my favorite places to shoot in winter. 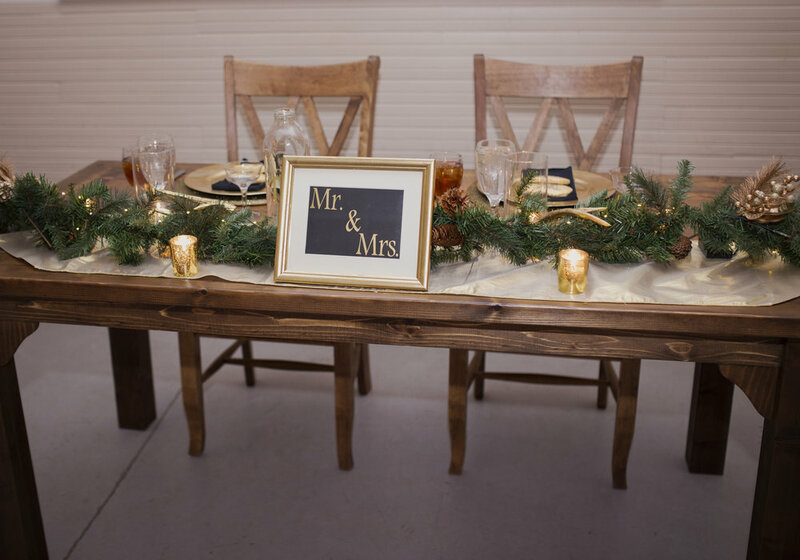 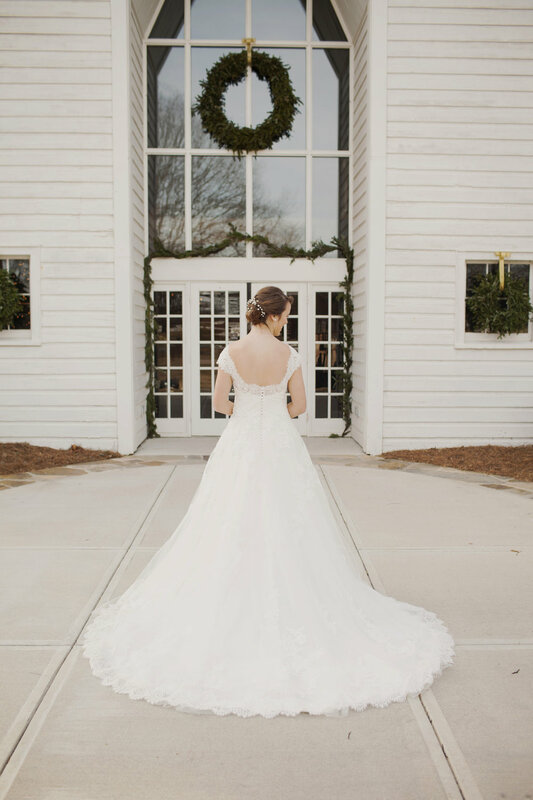 Bare trees, a frozen lake, horses roaming in the background, and Christmas wreaths all over the barn make it perfect for a winter wedding! 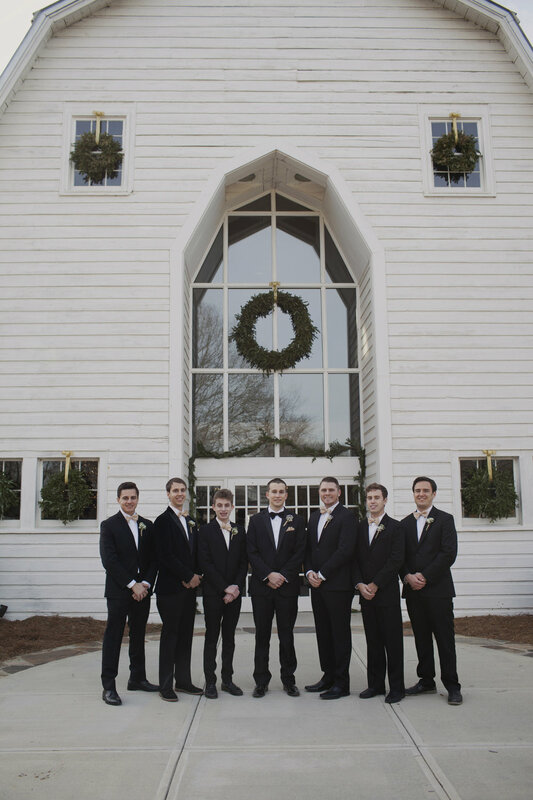 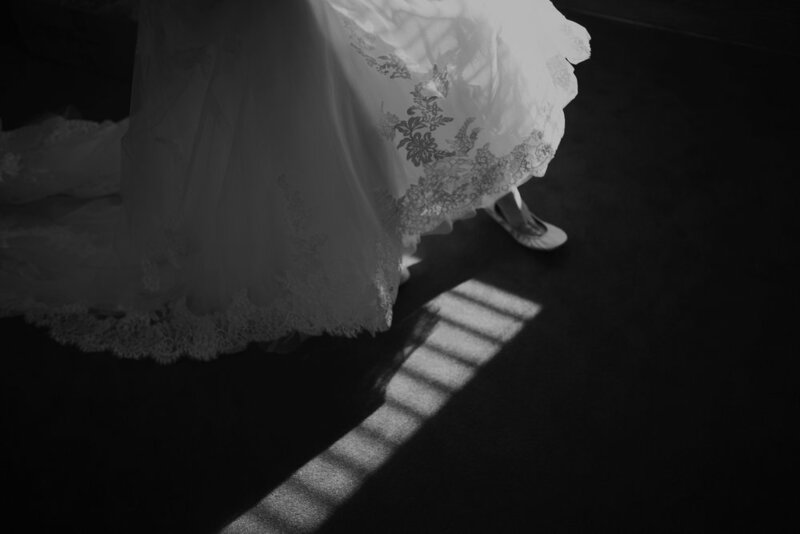 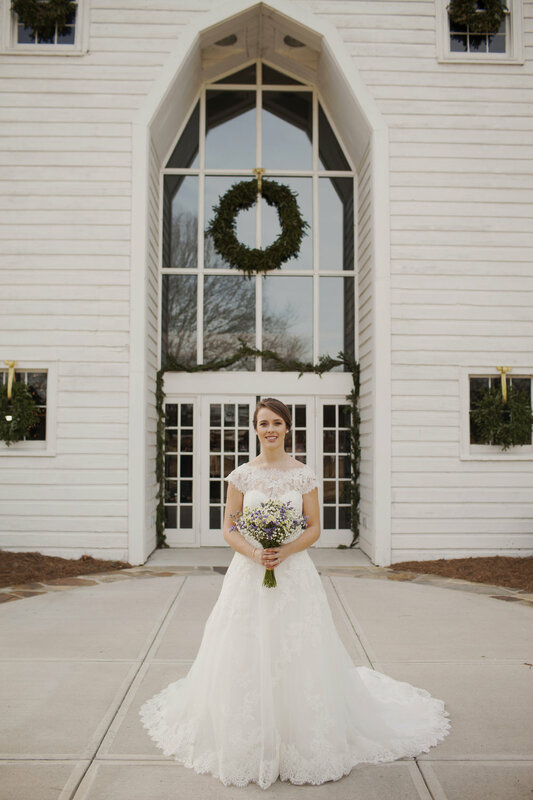 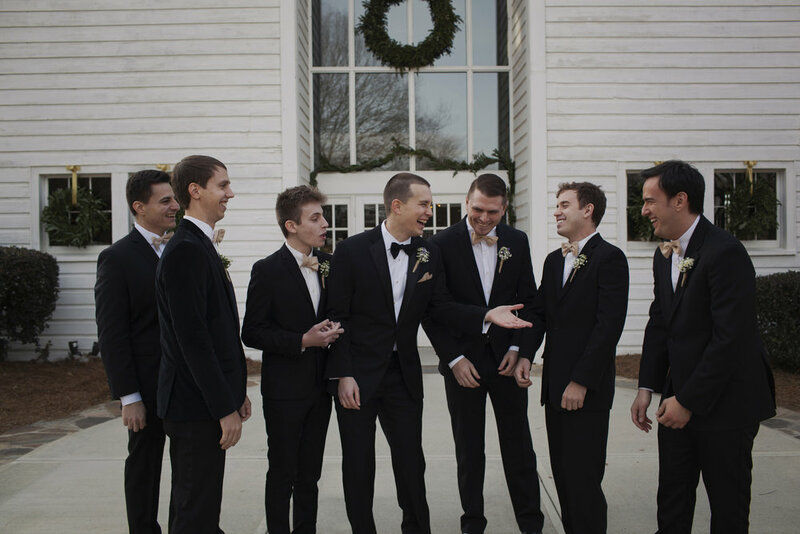 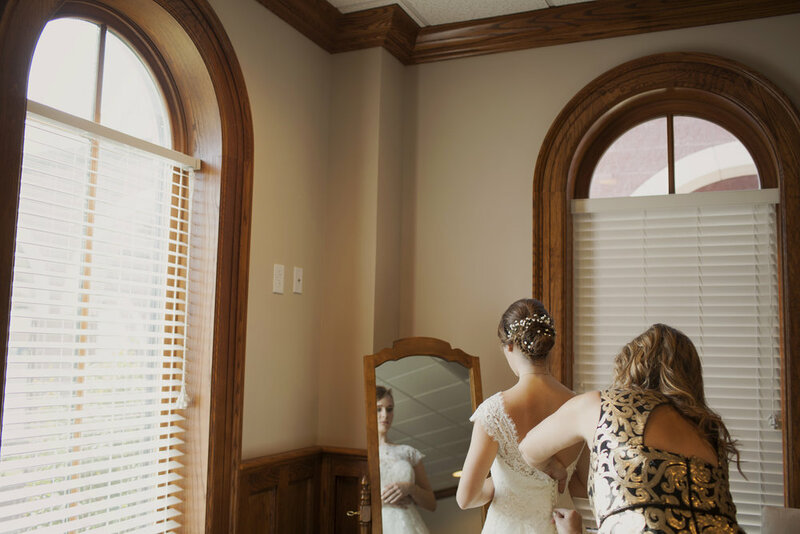 Before we headed there for photos, Tarah got dressed at their ceremony location - St. Phillip's in Fort Mill. 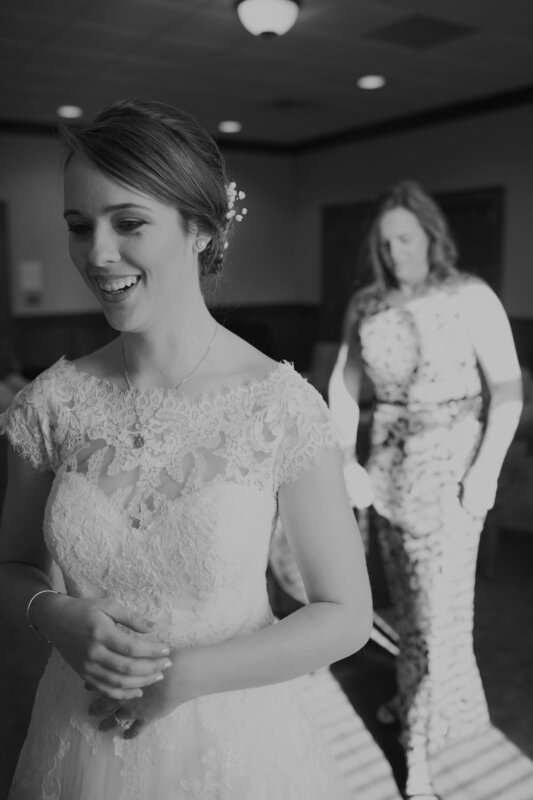 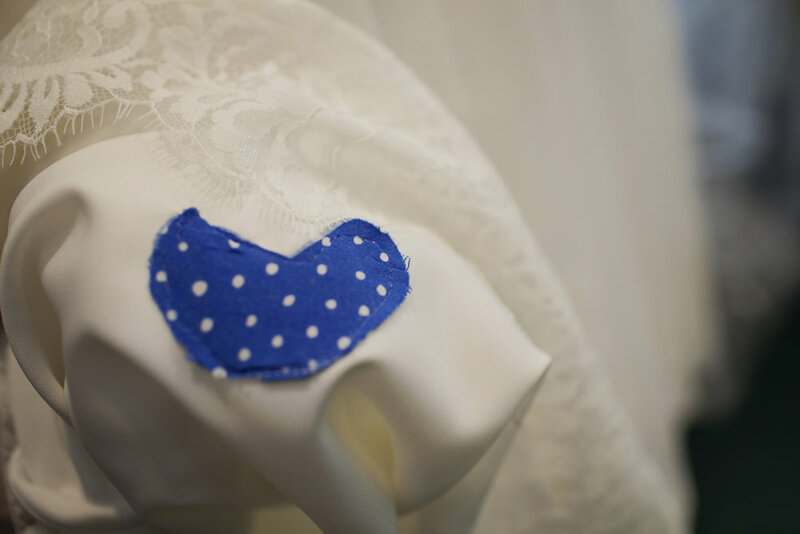 One of my favorite details was a piece of her grandma's clothing sewn into her dress. 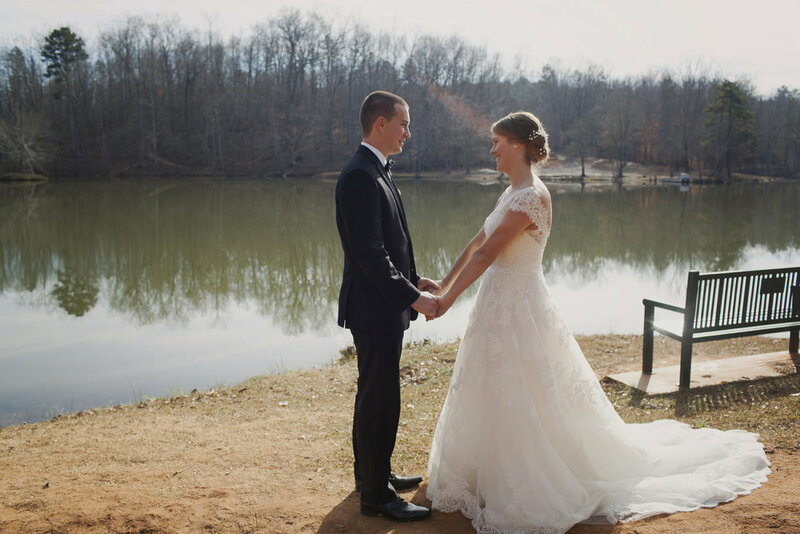 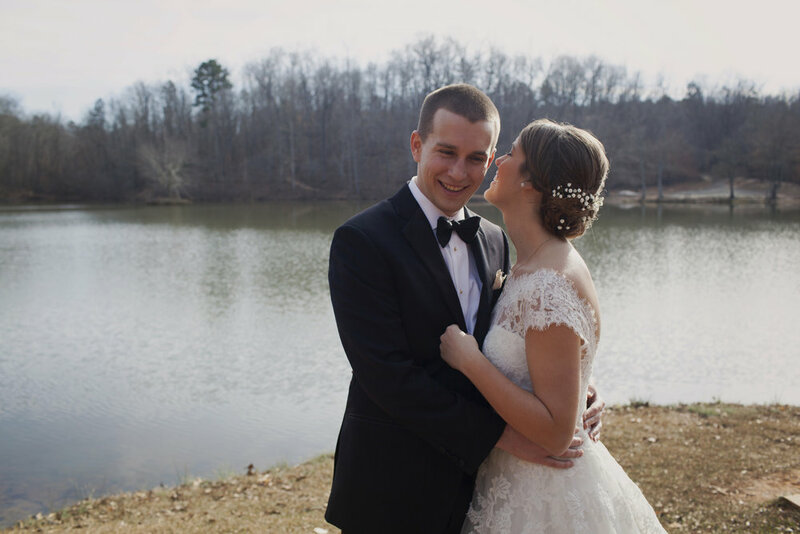 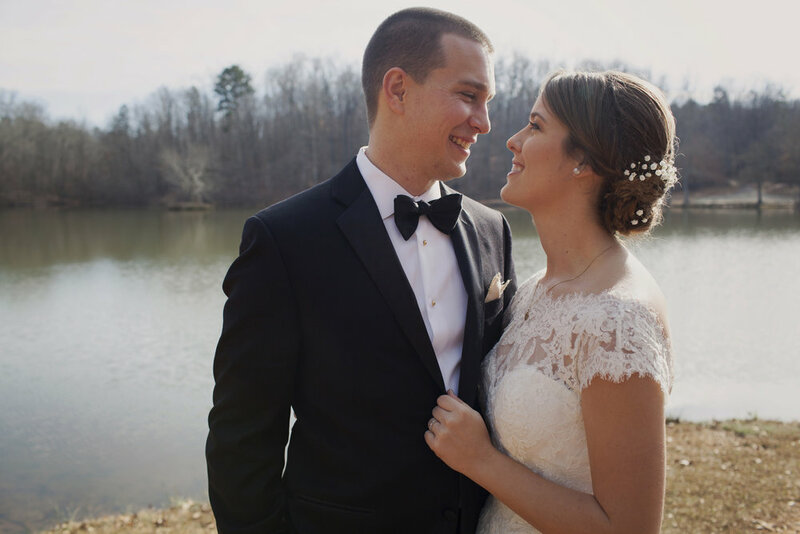 Jake headed over to Lake Hagler at Anne Springs and once Tarah arrived they had an adorable first look. 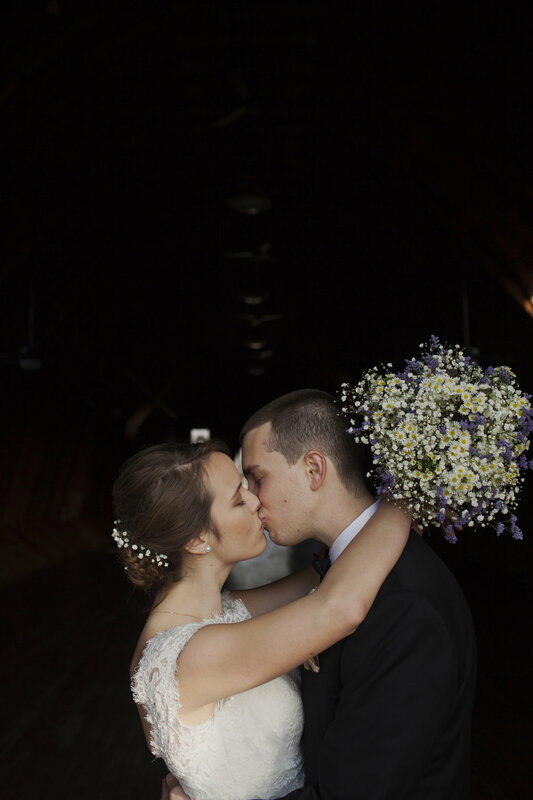 We then headed up to the Dairy Barn for more photos. 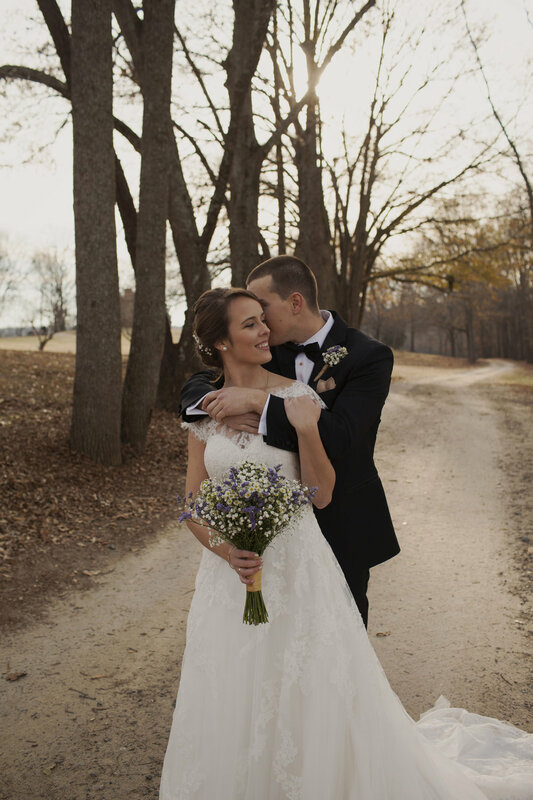 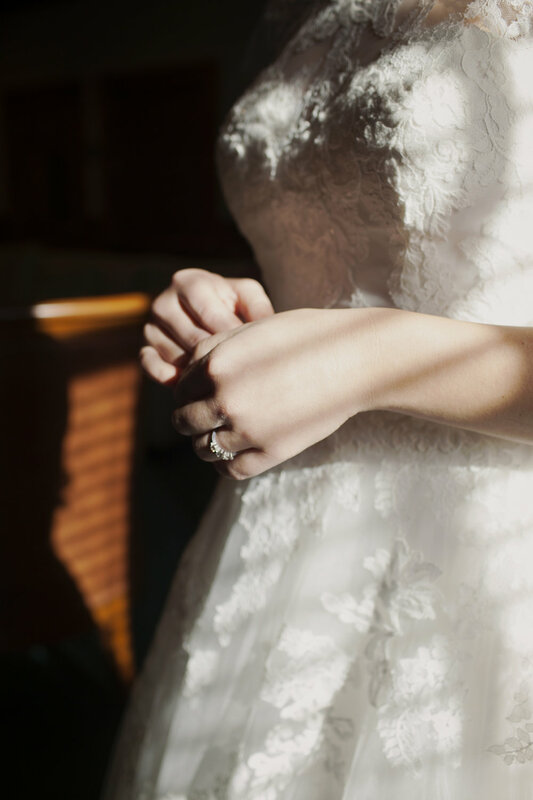 Since this was a winter wedding and the sun sets early, the first look allowed us to take all their photos before the ceremony. 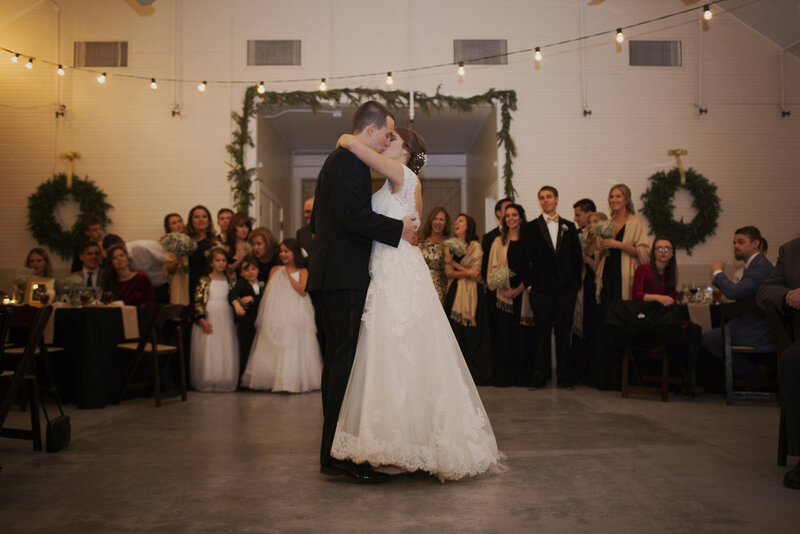 Tarah and Jake were still emotional for the ceremony and we got stunning photos before it got too dark! 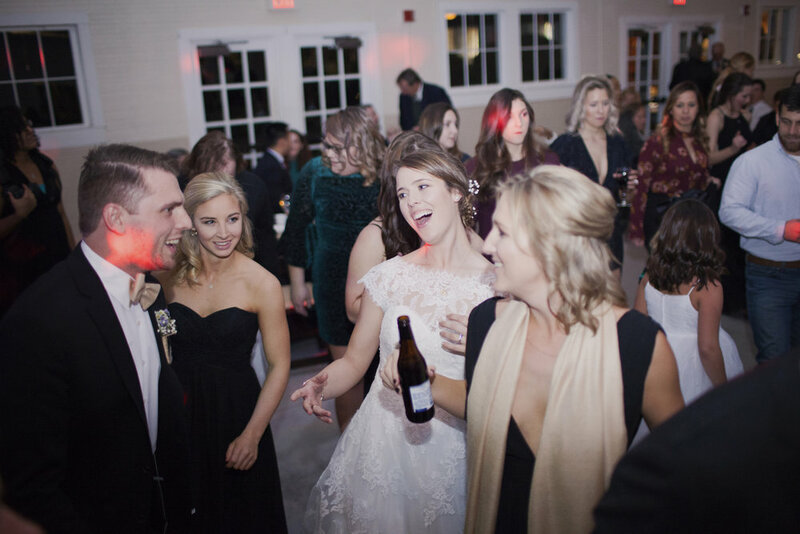 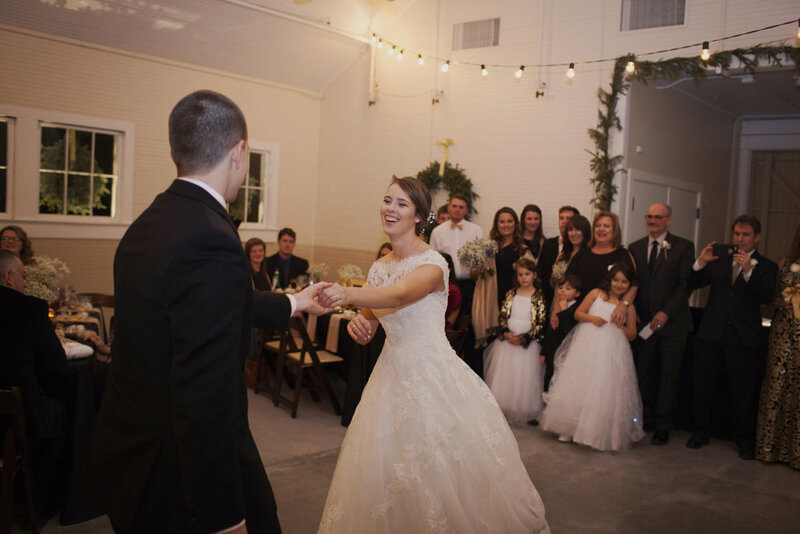 After the ceremony at the church, we headed back to the Dairy Barn for food and dancing at the reception. 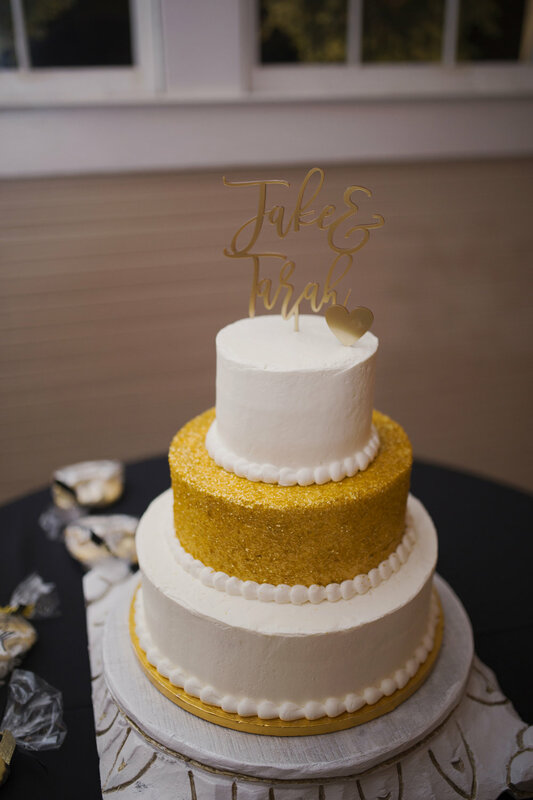 Congratulations on a beautiful wedding day, Jake and Tarah!